Simply brilliant is how I would describe salacious ebook of the moment Memoires of Rochelle Sket is so bad it is good, I really hope that it get’s picked up and the author’s work is published. There are several chapters that were so well written that it held my attention. I was literally ate each chapter. A major advantage of the memoires being uploaded to a blogspot is that you can access it on pc, mac as wel as on iphone and blackberry. The story tells itself, I have posted the link underneath so that you can experience the thrill of reading the diary. Straight Up Bossy, Good Food On A Budget! Today I stumbled upon Cha Cha Moon in Queensway and was pleasantly surprised. The food was delicious, Staff were excellent and there was no desert on the menu. It is very rare that you can get an intimate and classy dinning experience away from prying eyes and spend under £20 on dinner for two in central London. I recommend this place to anyone who is into good food and wants a new experience. The atmosphere was great, I wanted to impress so I went native and used the chopsticks in order to show my date that I’m good with my hands. Singapore noodles and the prawn dumplings were amazing. Cha Cha Moon is Simple but fabulous. In order to improve the site I have taken some time out to re-design the blog and hope that you can bare with me while I get everything up and running. I’ve been gone for a minute and hopefully I am back. I have been away and look forward to sharing alot of new things with you. As the Blue Print 3 drops in the UK on 14th September, Jay-Z will be performing at the Roundhouse in Camden on Thursday 17th September 2009! Tickets go on sale on Friday 4th September and are £50 each! 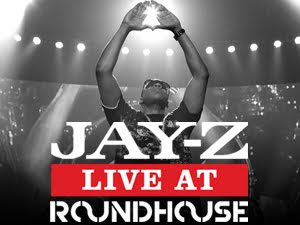 Jay-Z will be playing the Roundhouse in Camden Town on September 17th 2009. Tickets go on sale this Friday ( September 4th). 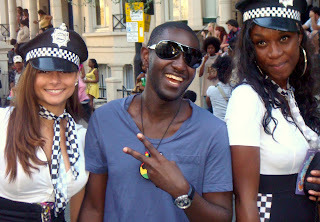 The Bank Holiday Weekend has been amazing in London, Notting Hill Carnival was bangin, please share with me your carnival stories! It was hot everyone was looking hot, the soca, r’n’b, bashment, d’n’b and funky house was hot!I was arrested and A video has been doing the rounds on Facebook which reminds me of some Rochelle Sket. Underneath the image of myself being arrested. Kid Cudi – Make Her Say Feat. Kanye West & Common (HD) from DP on Vimeo.